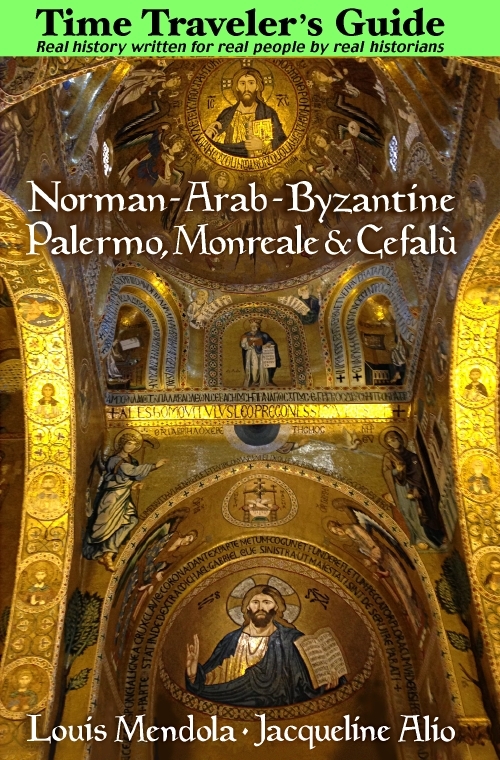 Norman-Arab-Byzantine Architecture and Art of Palermo - See Palermo and Western Sicily. Time Trav­eler's Guide to Nor­man Arab Byzan­tine Pa­ler­mo, Mon­reale & Cef­alù. This book is for you. Dis­cov­er multi­cul­tur­al me­dieval Si­cily! From Ama­zon US, Ama­zon UK, Ama­zon CA, Barnes & No­ble, Wa­ter­stones, Indi­go, Fish Pond and oth­er ven­dors. Pa­lermo: Lib­reria del Cor­so. Mon­reale: Cathe­dral Book­shop.